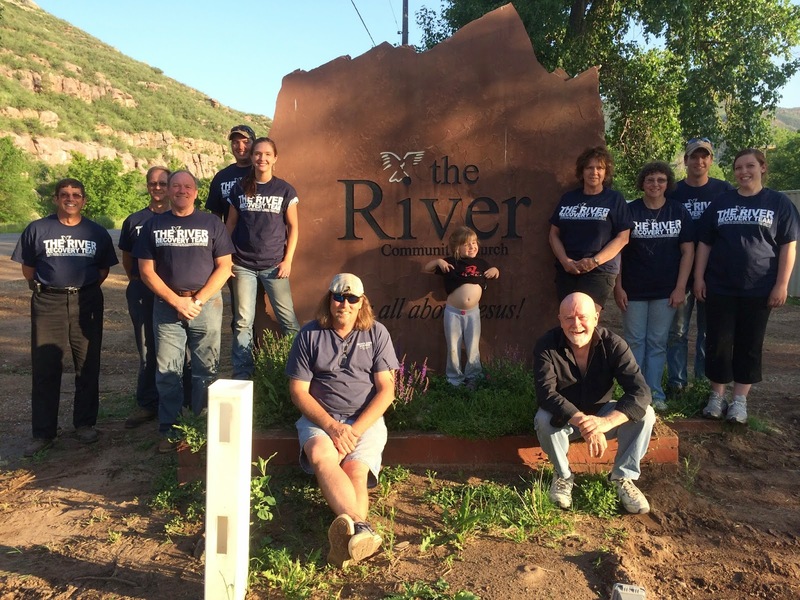 The River Church: Continuing to make Jesus' name great! Continuing to make Jesus' name great! Nehemiah 3: "Then Eliashib the high priest rose up with his brothers the priests, and they built the Sheep Gate... And next to him the men of Jericho built. And next to them Zaccur the son of Imri built. The sons of Hassenaah built the Fish Gate. They laid its beams and set its doors, its bolts, and its bars. And next to them Meremoth the son of Uriah, son of Hakkoz repaired. And next to them Meshullam the son of Berechiah, son of Meshezabel repaired. And next to them Zadok the son of Baana repaired. 5 And next to them the Tekoites repaired..."
Yet another team of Gods faithful servants here to love and serve and help rebuild our church and town! They have finished the new siding on the church and decided to re-shingle the sanctuary while they were at it! Thank you Grace Community Church from Pennsylvania! It's All About Jesus Christ!. Awesome Inc. theme. Powered by Blogger.